View More In Pocket Knives & Folding Knives - Page 3. Ken Onion holds true to his name in having provided organic and curvy designs for Kershaw. The Scallion stays consistent with his classically onion-named series, while offering a thin and unassuming knife of great strength for its size. With Ken Onion’s own patented SpeedSafe assisted opening, the Scallion opens quickly and easily with one hand. The 420HC steel blade with a bead-blasted finish gives the knife a matte look that is easy to maintain and perfect for cutting fish, cleaning game or for general meal prep. 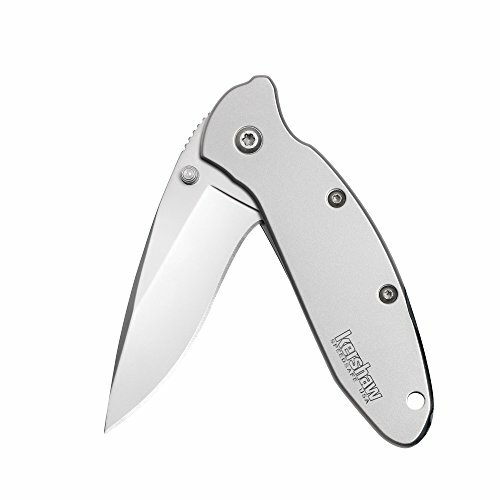 The Scallions handle is comfortable, ergonomic and easy to grip, with glass-filled nylon composition exemplifying Kershaw’s steadfast commitment to quality. Slim, lightweight and easy to deploy, this folding blade is the perfect size for convenient pocket carry. With dual locking technologies, liner lock and tip lock, the Scallion is safe and secure during use and in transport. Discreet and functional, choose the Scallion for suburban, urban and outdoor EDC.